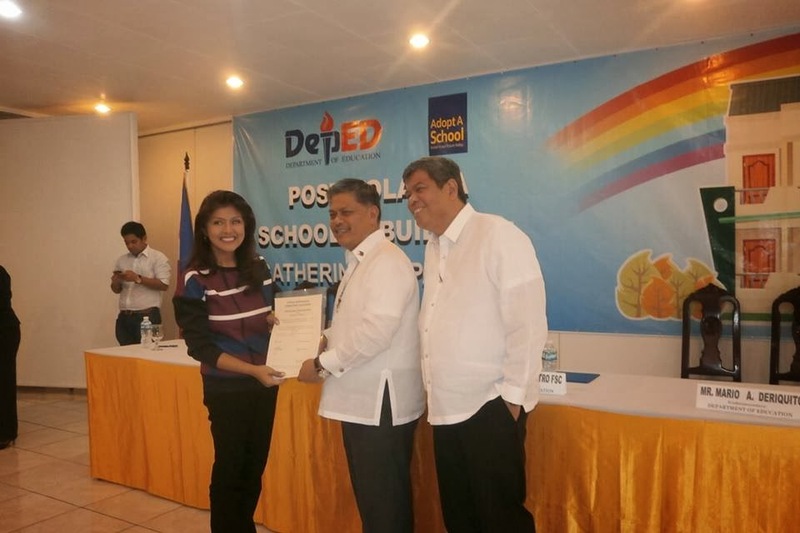 The Department of Education (DepEd)’s Adopt-a-School Program has been well-supported by the private sector. It provides a venue for private firms and organizations to participate in nation-building through the public education of Filipino children. Businesses and private organizations’ generosity was commended in a ceremonial signing last January 22, 2014 at the DepEd Pasig Office. Undersecretary Mario Deriquito related that foreign principals were astounded when he said that school classes will resume in Typhoon Yolanda-affected areas in less than one month. And true enough, the Philippine Flag flew proudly in debris-filled areas of Tacloban as the classes resume and people returned back to life. 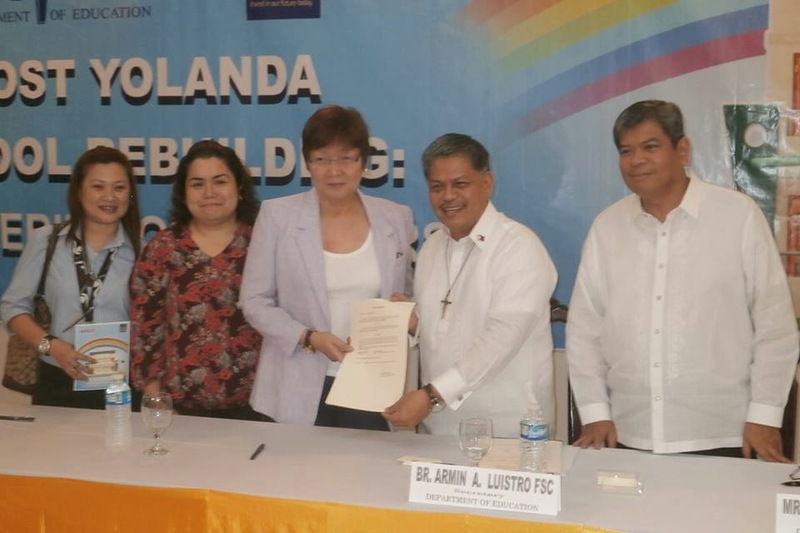 DepEd’s focus on rebuilding schools and classrooms in Typhoon Yolanda affected areas is in line with its call for support “towards a disaster-resilient and sustainable education”. Veterans of Typhoon Katrina said that that it would take 2 years for the Philippines to rise from Yolanda and start life again. We may have been stricken down and hard but the Filipino spirit is not broken and would “not allow Yolanda to be the punctuation for 2013”, said Usec. Deriquito. Education Secretary Br. Armin Luistro said that, “The resilience of Filipinos is real, true and worth believing”. “We would like to thank all our donors for showing us that there is something moreis a something more powerful than Yolanda. Your hearts are larger than the destruction caused by this super typhoon”, he added. To date, 747 new classrooms out of 3,825 needed ones have been built in the affected areas. 2720 out of 10,301 classroom have been rehabilitated. It is President Noynoy Aquino’s dream for the communities to see better built schools and buildings that are typhoon-proof and one that meet Category A for earthquake. 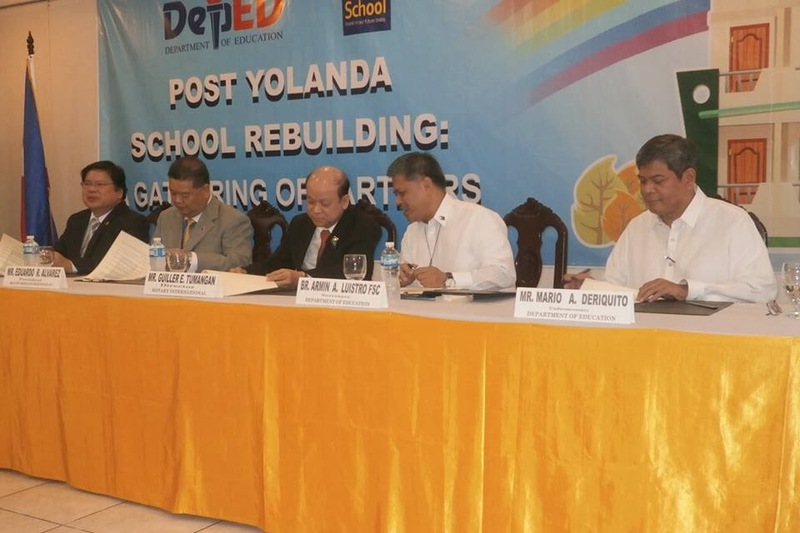 DepEd aims to finish rebuilding one-storey classrooms by March 31. Identifying and validating schools that need to be relocated is included in the Phase 5 of this endeavour. DepEd accepts donations in cash and in kind. Classrooms, educational equipment, facilities, furniture, school supplies, water and sanitation facilities are some of the student needs that businesses can support. Volunteer storytellers, builders and those who can conduct psycho-social debriefing are also welcome. Businesses interested in supporting this advocacy may get in touch with DepEd’s ASP team via email aspprogram.center@gmail.com or through the Office of the Undersecretary for Partnerships and External Linkages at telephone numbers 633-7207, 638-8637 and 638-8637.